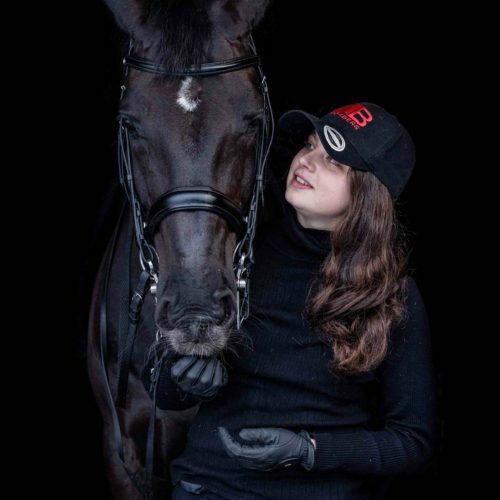 Q.My pony was circling his jaw, however since successfully following some advice in Polo Times about choosing a ported mouthpiece, I am keen to try switching my drop noseband to a cavesson – I feel however that the drop is a good reminder for my pony to keep his mouth closed and not cross his jaw in play. He’s not a youngster now so should know the job. He’s in a sweet iron Bombers Happy Tongue 3 Ring. Should I stick with the drop noseband? 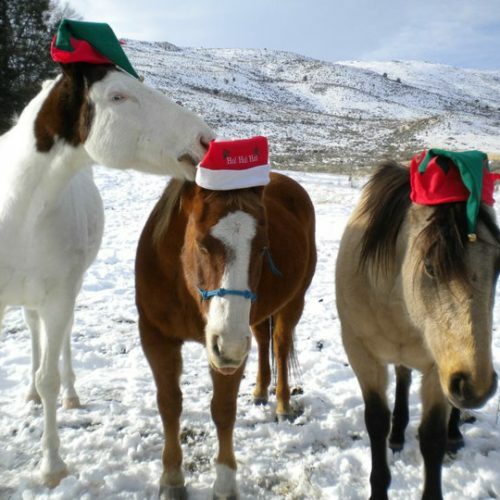 A.Ponies sometimes move or circle the jaw to relieve pressure, which is why ported bits can help – with no joint, the port acts to reduce pressure over the middle of the tongue, instead creating more pressure on the bars of the mouth – so it is useful for those ponies with a sensitive tongue or a strong jaw. 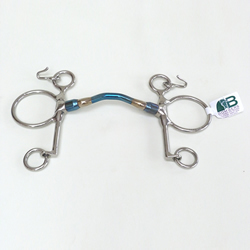 The ported bit is also highly useful as a corrective bit for those equines which have learned to get their tongues over the bit during the excitement of a game! 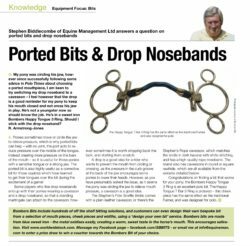 Some players who like drop nosebands end up with their ponies wearing a cavesson and a drop noseband, so that a standing martingale can attach to the cavesson; however sometimes it is worth stripping back the tack, and starting from scratch. 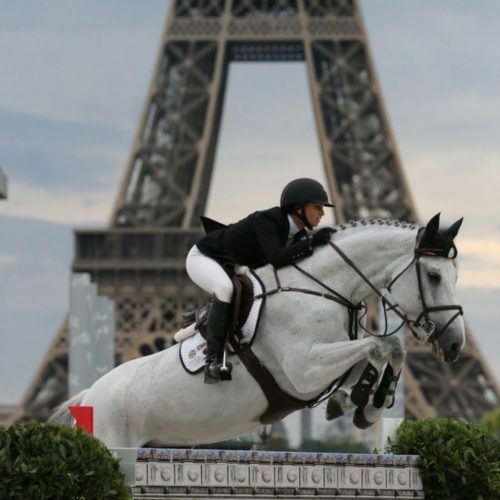 A drop is a good idea for a rider who wants to prevent the mouth from circling or crossing, as the pressure in the curb groove at the back of the jaw encourages some ponies to lower their heads. However, as you have presumably solved the issue, as it seems the pony was circling the jaw to relieve mouth pressure, a cavesson is a good idea. 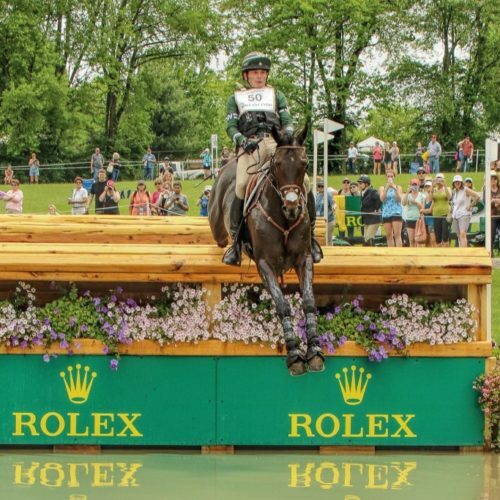 The Stephen’s Polo Snaffle Bridle comes with a plain leather cavesson; or there’s the Stephen’s Rope Cavesson, which matches the bridle in dark havana with white stitching, and has a high-quality rope noseband. The brand also has cavessons in round or square rawhide, which are all available from this website. Congratulations on finding a bit that works for your pony; the Bombers Happy Tongue 3 Ring is an excellent polo bit. 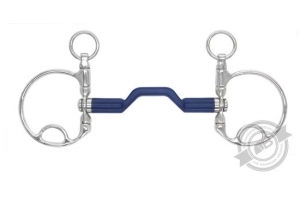 The Happy Tongue T Bar 3 Ring is also recommended – this cheekpiece has the same effect as the traditional Fulmer, and was designed for polo. 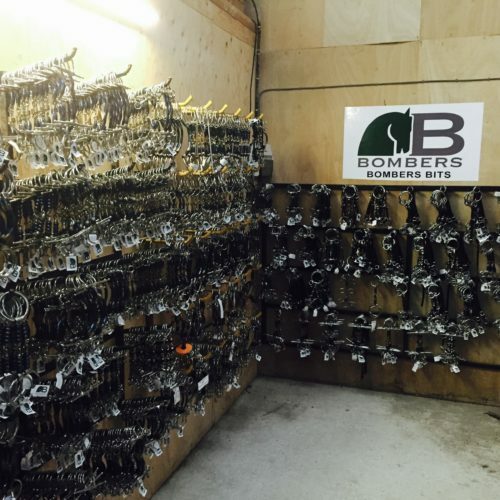 Bombers Bits include hundreds of off the shelf bitting solutions, and customers can even design their own bespoke bit from a selection of mouth pieces, cheek pieces and widths, using a ‘design your own bit’ service. Bombers bits are made from blue sweet iron – the metal oxidises easily, creating a warm, sweet taste in the horse’s mouth. This encourages salivation. 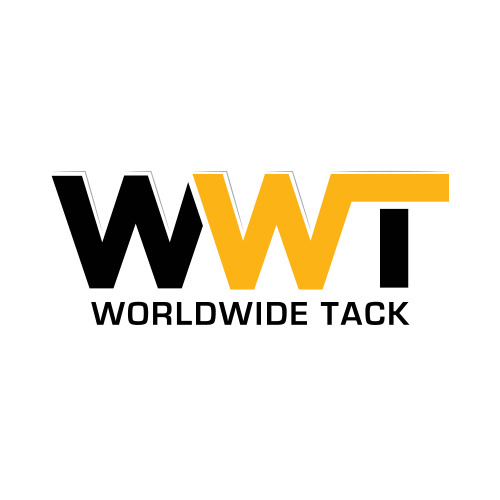 Visit our Bombers Bits pages! 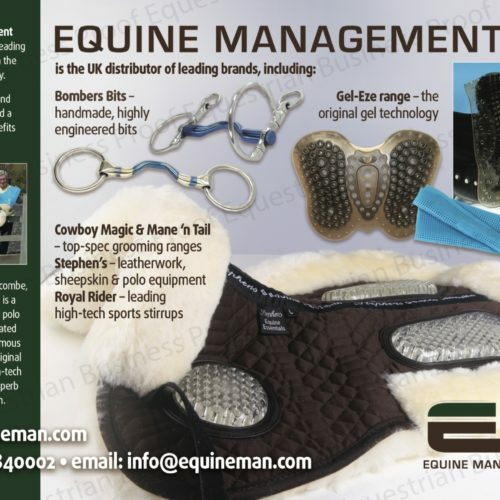 Message our Facebook page – facebook.com/SBBITS – or email info@equineman.com with your question, to enter a prize draw to win a voucher towards the Bombers Bit of your choice.